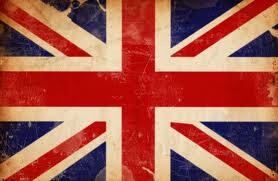 Happy Jubilee everyone!! How is everyone celebrating the Queens long reign? How nice has the Sunshine been!!! About time we got some! The Celebs have also been enjoying the Sun and looking stylish in their shades!! This week we spotted Jessica Stroup from 90210 in her Carrera Shades!! She was participating in the American Cancer Society’s Third Street Promenade, which encourages women to have fun while working out. A press release stated: “Each act of play will help the American Cancer Society spread the message about women’s health and the importance of getting active to help reduce your cancer risk,” and they plan on reaching 100,000 such acts. Have a great Bank Holiday everyone and don’t eat too much!! This entry was posted in Celeb Sunglasses Spotter! !, Charity, Uncategorized and tagged Carrera, Ray Ban, Sunglasses. Bookmark the permalink.